Looking for a list and the words of of Popular Carols? Then your search is over! We have collected a list of the most popular Christmas Carols. There are links to all of the words and lyrics to each of the Popular Christmas carols detailed on this page. The words and lyrics to the Popular Christmas Carols have have been provided for all of the family to enjoy. This list of Popular Christmas Carols never fail to bring back warm memories. Our list of Popular Christmas Carols include the favorite old lyrics and classic words. For the words and lyrics of Popular Christmas Carols please click on one of the following links. Our Popular Christmas Carols include classic carols such as Silent Night, Hark the Herald Angels sing, Good King Wenceslas, Joy to the World, O Holy Night, The First Noel, Away in a Manger, Deck the Halls and Ding Dong Merrily on High. So enjoy and have reading the words and lyrics to the Popular Christmas Carols, via the links below. 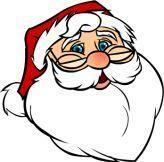 So enjoy and have fun scanning through the list of Popular Christmas Carols and then reading the words and lyrics. We hope you enjoy the words and lyrics to these Popular Christmas Carols. Have a Merry Christmas!